Greetings, my wonderful readers! I wanted to post today to tell you about an awesome new blog that will review books with animal related issues called The Random Animal. The blogger behind this blog is none other than my mother, Priscilla Paton! Priscilla Paton may not be a familiar name to many of you, but she has written two books. One is called Howard and the Sitter Surprise, which I inspired by terrorizing my babysitters (aka pounding my head on the floor when they came). 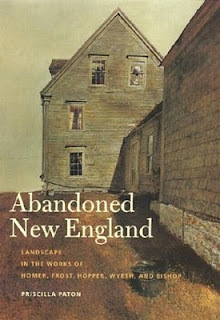 The other is a more academic book called Abandoned New England: Landscape in the Works of Homer, Frost, Hopper, Wyeth and Bishop (Revisiting New England). If you're interested in animal issues or just want to stop by, be sure to say hi!